Time to send these books to a new home! As always, I used a randomizer to pick the winner and it chose entry #17 - that's Laura D.
Laura, congrats! Expect an email from me to get your shipping details. 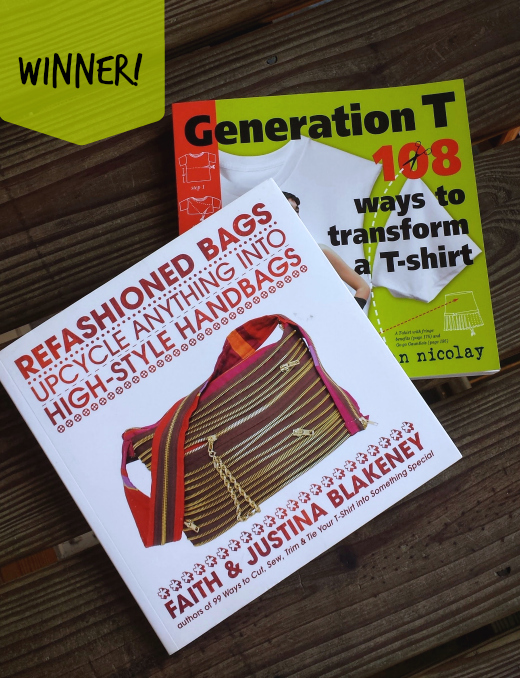 A big thank you to everyone who entered for your interest - if you can find these books gently used, they're worth grabbing - so many good ideas for upcycling and refashioning.